The 133 Diamond sparkles with features. 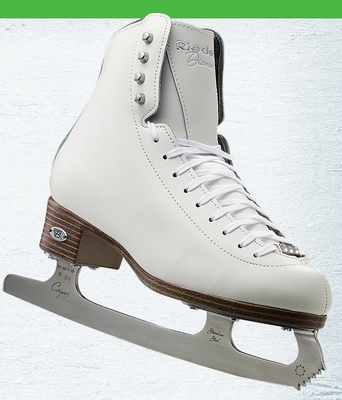 Double reinforcement for the support recreational skaters appreciate. Leather Tongue Reinforcement adds foot protection and boot strength. Maintenance free PVC sole unit and Dri-Lex� lining keeps feet dry. New hand-rolled collar for soft comfort and snug fit. Faux diamond lace bar. New argon welded stainless steel blade.